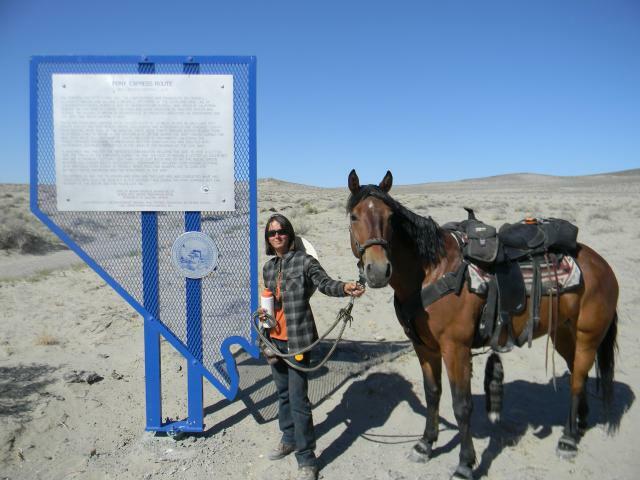 On May 25, 2013 Samantha Szesciorka set out on a 452 mile solo horseback ride across the state of Nevada. 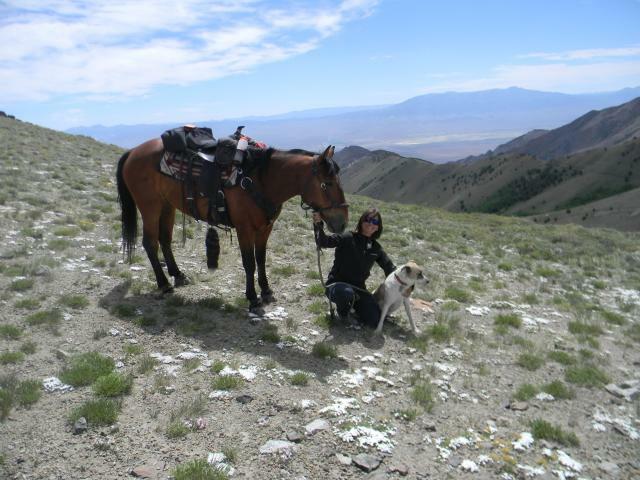 Samantha’s travel companions were her formerly-wild mustang Sage and her dog Bella. Her goal? 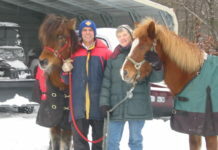 To encourage wild horse adoption by demonstrating the trainability and rideability of mustangs on a challenging endurance ride. EasyCare was proud to sponsor Samantha on this journey. 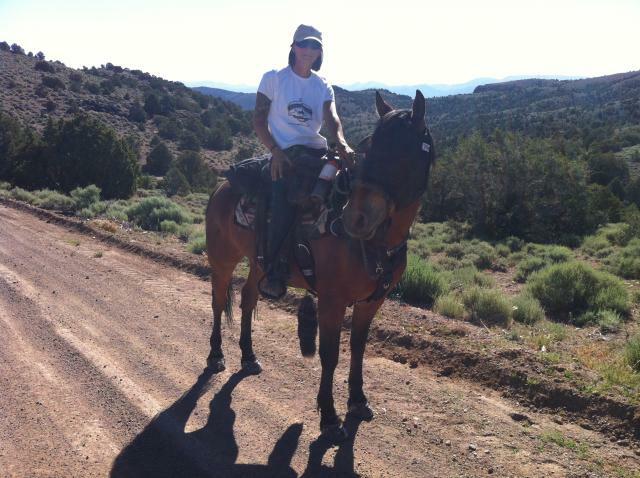 Samantha’s horse, Sage, is barefoot and wore Easyboot Epics during the entire month-long adventure. The Nevada Discovery Ride was designed to be as backcountry as possible. We started on the Utah border and traveled straight across the middle of Nevada – up and over fourteen mountain ranges and across every valley in between. Our days began at 4:00 am with feeding and I was saddled and on the trail by 6:00 am to beat the desert heat. Though we only rode an average of 20 miles a day, the terrain could vary wildly – from sand to boulder-size rocks to pavement to loose gravel. 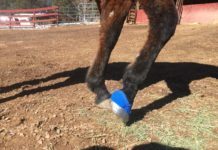 Since Sage is barefoot, hoof boots were critical to keep him comfortable and sound. We used the Easyboot Epics every day. At the beginning of the ride it would take me 20 minutes just to get all four boots on, but by the end of the ride, I had those boots on like a pro! They are designed to have a snug fit so it takes a little work to get them on. 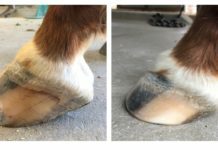 I found that tilting the hoof down and twisting the boot back and forth got them on tight and centered. Don’t forget the cotter pins! I discovered early on that the challenging terrain could flip up a buckle. It only took a few rides of hearing the distinct clacking sound and having to dismount to fix the buckle before I buckled down and started using the cotter pins. Once I did, no more flipped buckles. Fans and followers of my ride were most concerned with how Sage’s feet would hold up after 452 miles. When we rode into Reno at the end of the month, they were surprised to see no chips, bruising or wear. In fact, Sage actually needed a trim! 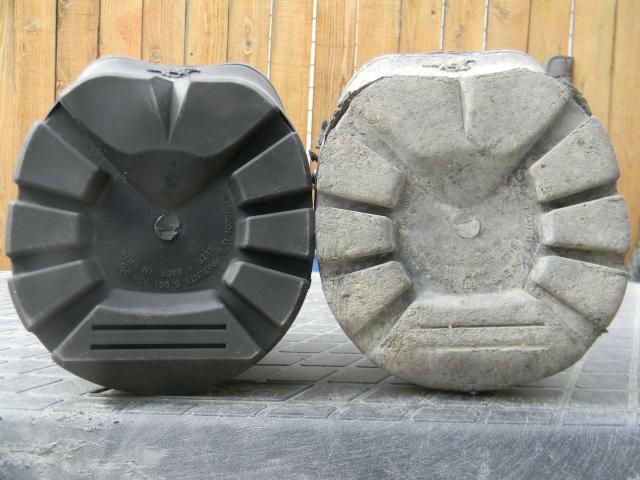 As for the Easyboots, they held up pretty well too. I was curious to see how much mileage we would get out of a boot. Over the course of the ride there was one broken cable, one broken buckle and one torn gaiter. These parts can be easily replaced but while on the ride I opted to use new boots, saving the repairs for when we were back home. One Epic actually made the entire 450 miles but on the last day of the ride I was surprised to see that we actually wore a hole clear through the toe. To find out more about the Nevada Discovery Ride and see what Samantha and Sage are up to now, visit www.NevadaDiscoveryRide.com or like our Facebook page, www.facebook.com/NevadaDiscoveryRide.